It feels like FOREVER since I've shared a recipe with you guys. The last one I posted was my homemade orange juice recipe waaaay back in December! 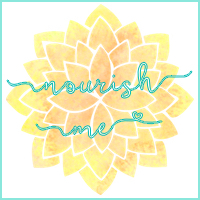 I've been obsessed with Pinterest recently (follow me here) and it's inspired me to get back in touch with the roots of Nourish ME. 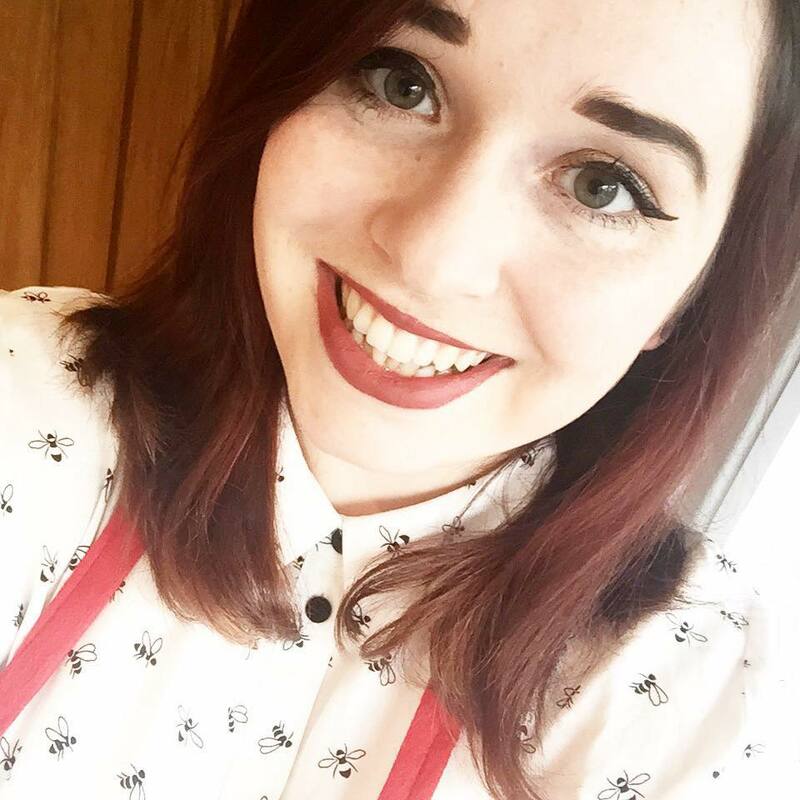 If you've followed me since Nourish ME was a wee un-SEO'd, disorganised, poor picture quality baby, then you'll know that originally this was solely a recipe website for me to share all of my creations with you guys. Since then it's expanded into a more lifestyle orientated blog with a bit of beauty, fashion and foodie content thrown in. So, I've decided to share my favourite breakfast of all time with you. I fell in love with Deliciously Ella's blueberry and apple oatmeal recipe - it was totally my go-to Winter breakfast - and I created this one as a yummy alternative to add a bit of variety to my mornings. Although Spring has sprung it seems to have pretty much disappeared here in the UK - it snowed (snew???) today and was so cold I'm pretty sure my baby finger has frostbite from cycling to work this morning. If you want to add normal milk instead of a vegan alternative then this recipe will definitely work with that too. Also, the majority of the ingredients for this easy four-ingredient recipe can be bought organic, so doing that will increase the nutritional quality of the dish, but will obviously make it more expensive. I'm a pretty big fan of all things Instagram, so I'm always looking for ways to optimize my food photography. 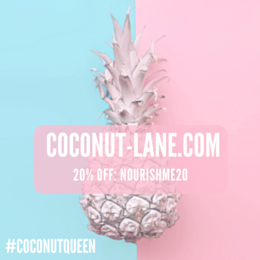 With the pictures in this post I've added my Beyonce wall art from Coconut Lane (you can get 20% off with the code 'nourishme20') and my That Lame Company list pad. 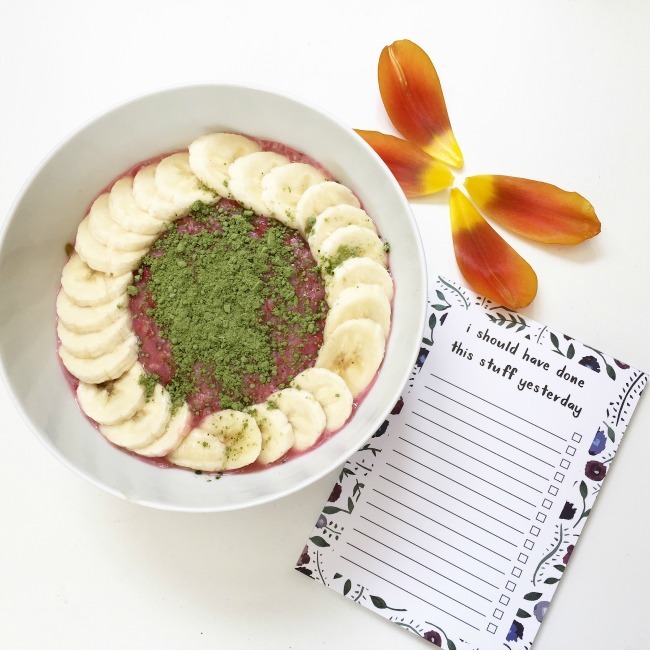 I love adding a touch of stationary to my food pictures because I am a serious stationary obsessive and they add a depth to the photo. This recipe is pretty great for sharing on Instagram or other social media because it's super easy to create and makes you look like a top-notch foodie. In terms of topping the oatmeal to make it Instagram-worthy, I usually thinly slice a banana and arrange that on top, then add a few flax seeds, chia seeds and sometimes even a teaspoon of wheatgrass powder for that extra boost. - Place the raspberries in a pan with just enough water to coat them. Allow to simmer for ten minutes. - Whilst this is cooking, grate the pear into a bowl and add the rice milk and oats. Leave to soak for a couple of minutes. - Cook the porridge mixture in a pan for 2-3 minutes until thoroughly heated. - Add the raspberry mixture (should look like a compote with a few whole raspberries or parts of raspberries remaining) to the porridge. Mix and serve. What is your go-to breakfast at the moment? This sounds and looks amaze! Will defo be trying this soon. Tag me in the picture if you do - I'd love to check out your version of it! This sounds and looks so delicious, can't wait to try it out. It is so tasty and really easy. I hope you enjoy it! This oatmeal recipe looks and sounds amazing. 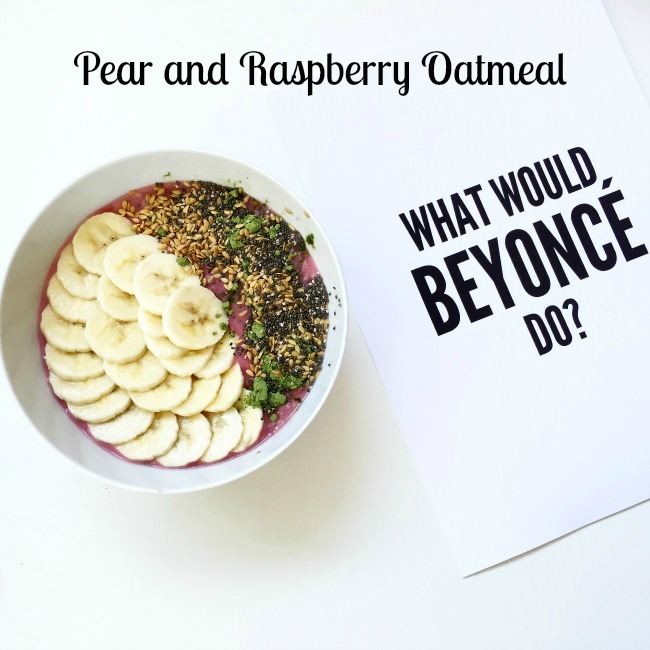 I am always very plain with my oatmeal but really want to try this combination of flavours out! It's such a nice way to make oatmeal more interesting, I love it!